Started with visiting the temple of Borobudur, the largest Buddhist in the world. 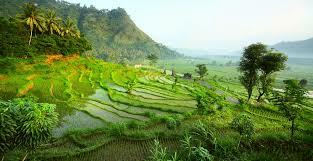 which is located in Central Java. you will be amazed by the grandeur of the temple were so great. This temple was built by king Samaratungga in the 8th century AC. 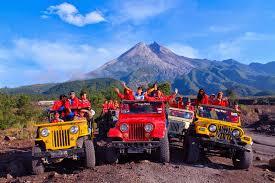 Mount Merapi, one of the most active volcanoes in Indonesia and is still active. 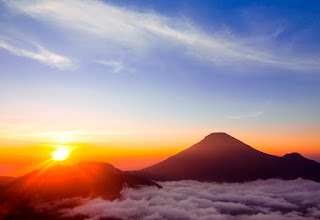 you will be brought to the area kaliadem, there you will see how beautiful volcanoes. and it would be like if you rent a jeep to explore the slopes of Merapi and see the circumstances around the slopes after a huge eruption in 2010 ago. many villages and houses have been destroyed and buried by lava. Prambanan temple is the highest temple in Indonesia, established in about 10 century AD by King Sanjaya.Located on the east of the city of Yogyakarta or 15 minutes from airport of Yogyakarta. 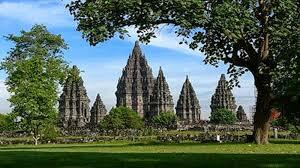 You will see the beautiful temple complex of Prambanan. Because in the temple complex is a lot of temples that still stand. But there are several Buddhist temples are also standing in the complex of this Hindu temple. 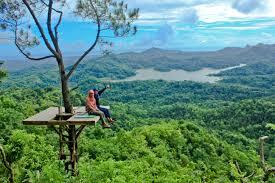 Kalibiru Tourism Village is suitable for those who want to a challenge adventure. The village presents a beautiful natural scenery and the atmosphere is very cool, suitable for tracking activities. You can take various paths, ranging from 1.5 kilometers, 3 kilometers, 5 kilometers, up to 7 kilometers, the longest path. Throughout this journey, you can see all kinds of rare animals such as hedgehogs, Javan eagles, even panthers. 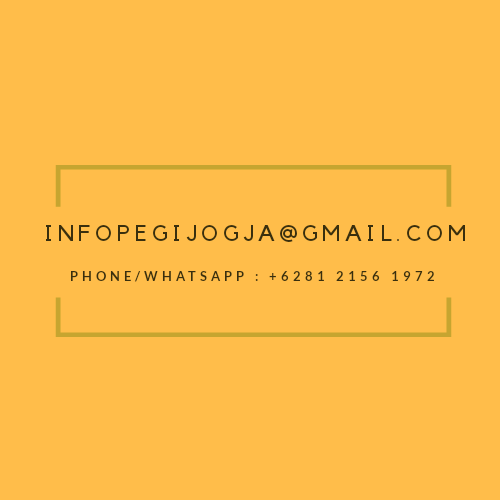 When arriving at the top, you can enjoy the beautiful scenery of Waduk Sremo, Kulonprogro town exactly Wates City from the upper site as well as Yogyakarta city. In this place, there are also four view towers which are ready to pamper your eyes to enjoy the vast expanse of beautiful views. Selogriyo temple is a Hindu temple and faces east, built approximately 9th century. the temple is located between the mountains and paddy field terraces and indulge my discovery of my search there, a little reminded Dieng Plateau, with hills and slopes are optimally utilized for agriculture, if the Dieng Plateau, we often discover or find plantations of potatoes, cabbage, etc., in contrast with the surrounding areas Selogriyo temple, there are many rain fed and rice terraces. 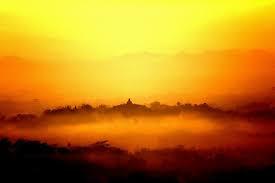 Punthuk Setumbu is the name of a hill which is located about 3 km west of Borobudur Temple. The hill that is located in the Karangrejo village, is one of the best places to witness the splendor of Borobudur Temple in the early morning as we wait for the sunrise to emerge from behind Mount Merapi. then continue to Borobudur temple.